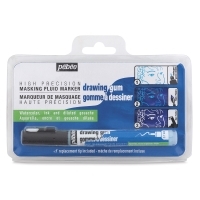 Drawing Gum Marker — This marker performs just like liquid drawing gum, but application is quick and accurate thanks to the marker's high-precision 0.7 mm tip. The sturdy plastic tip allows for fine, well defined, continuous applications when painting, drawing, writing, or adding finishing touches. The durable tip withstands repeated opening and won't break or splay. 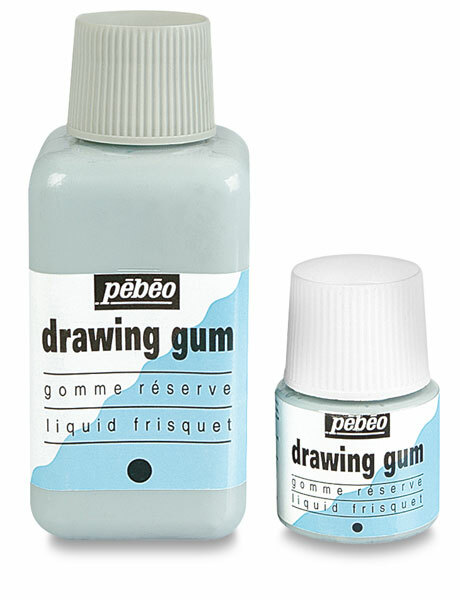 Like Pebeo's liquid drawing gum, applications are easy to peel off using fingers or an eraser. The formula is lightly tinted and made with natural latex. 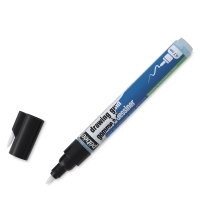 The marker comes with one replacement tip.